I absolutely love this hairdryer. Let me introduce you to the GHD Air. I have been using it for the past few months and it is an absolute dream. It's really powerful, boasting an impressive 2100W motor and uses ionic technology to lock in moisture, leaving my hair hair super soft and shiny. It's easy to use, doesn't weigh a ton, and has a really long cable - a total must for me when it comes to hairdryers. Considering I have such long hair, the Air dries it in no time. Its a beautifully designed hair dryer and I can't recommend it enough! Have you seen the new GHD candy straighteners? I want the pale blue ones so bad, they are beyond gorgeous!! I have also been loving these bits and bobs from Paul Mitchell. I've used Paul Mitchell products for years, I really like some of their volumising products and the Awapuhi Wild Ginger Shampoo and Conditioners. I've been using the products above since the beginning of the year and they are all fabulous. I adore the leave in moisturiser, it's the first leave in conditioner I've used that doesn't leave my hair feeling heavy and weird afterwards. 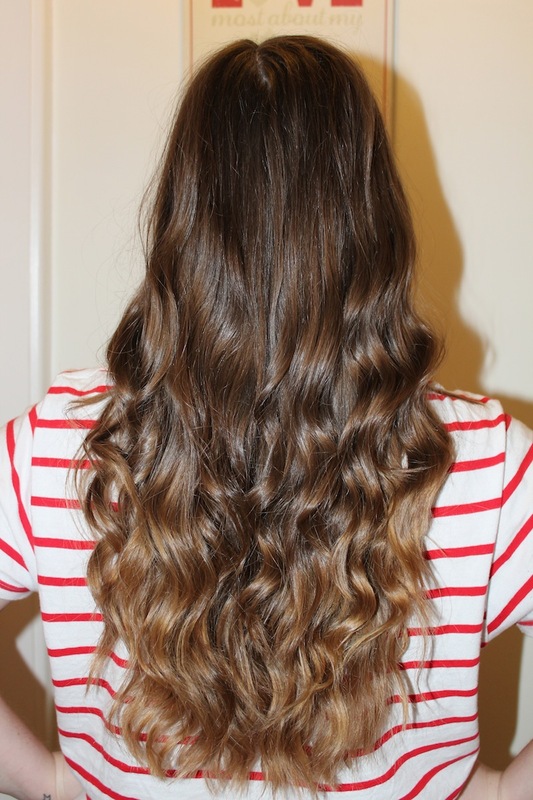 The detangling conditioner is also great for my long knotty hair. Finally we all know the importance of a good heat protection spray and the Seal and Shine spray does just the trick. All of the above leave me with shiny, manageable hair which is why they are my current hair heroes! What hair products are you loving lately? Your hair looks so healthy and has grown about 12 miles, it's looking super duper lovely. I use L'Oreal leave in conditioner religiously, it is playing a humongous part in my attempt to regain the condition of my hair again. I can't believe how long your hair is! Love it. I really like Aussie products at the moment. Also Soap and Glory is one of my favourites. I haven't tried any Paul Mitchell products, but perhaps I will in the future! I need a new hairdryer and have had my eye on this one. Your hair is gorgeous!